Acting as per the orders of the Uttar Pradesh government, no new tradition was allowed to start which could pose a threat to communal harmony and law and order, police said. 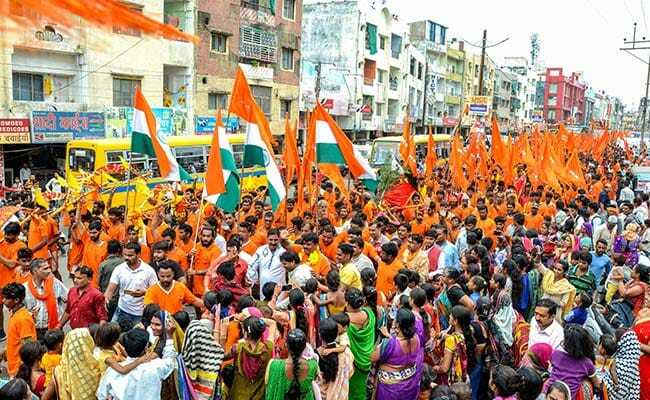 Bareilly district authorities did not permit a Kanwar yatra pass through a village today fearing law and order problems. A BJP MLA, who wanted to set a new trend and wanted the pilgrims to pass through, was also restricted within his office for the day. Bareilly District Magistrate Virendra Kumar Singh said Bithari Chainpur MLA Rajesh Mishra wanted to take out a Kanwar procession through Khajuria village, even as in the past no such procession had passed through this village. Acting as per the orders of the Uttar Pradesh government, no new tradition was allowed to start which could pose a threat to communal harmony and law and order, he said. A senior UP government official confirmed the orders and said it is a routine procedure followed and observed every year. "As a result, to maintain the law and order, the procession was not permitted to pass through the village and the MLA was not allowed to move out of his office for the day," Singh said. The district magistrate also said that strict action will be initiated against anyone trying to start a new tradition which may affect the law and order situation. Heavy deployment of police has been made in the area and police is urging the Kanwar pilgrims to take another route - the Bisalpur road, he said. Meanwhile, MLA Mishra said he does not know through which road the procession will be taken, but a Kanwar yatra will be held for sure.